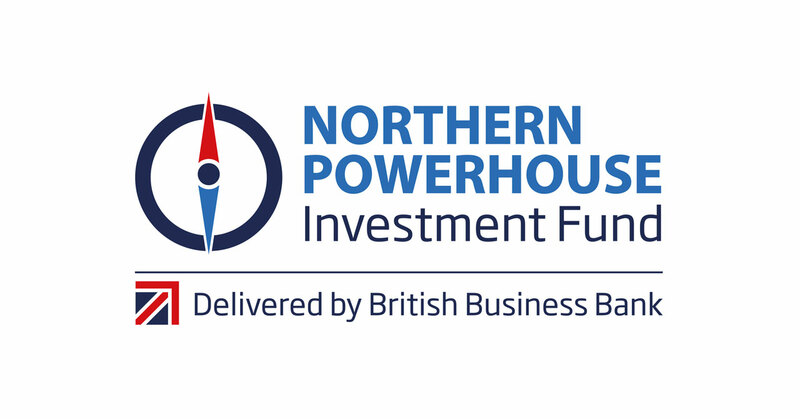 The Northern Powerhouse Investment Fund is a collaboration between the government-owned British Business Bank and 10 Local Enterprise Partnerships in the North West, Yorkshire, the Humber and Tees Valley. 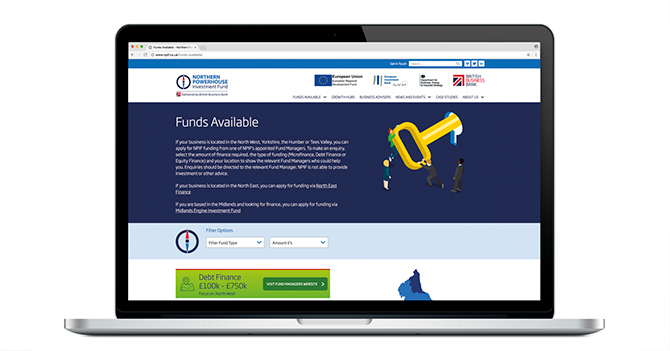  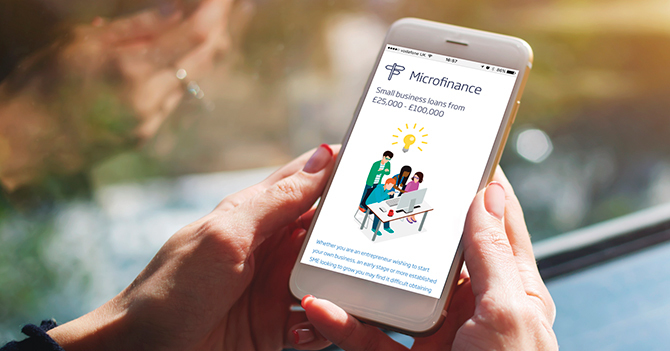 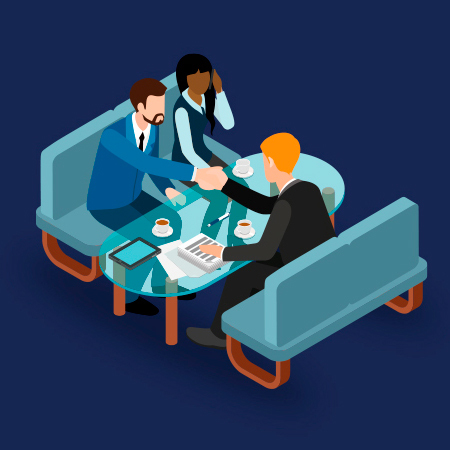 It provides microloans, debt and equity investments, ranging from £25,000 to £2m to help a range of small and medium sized businesses to start up, scale up or stay ahead. 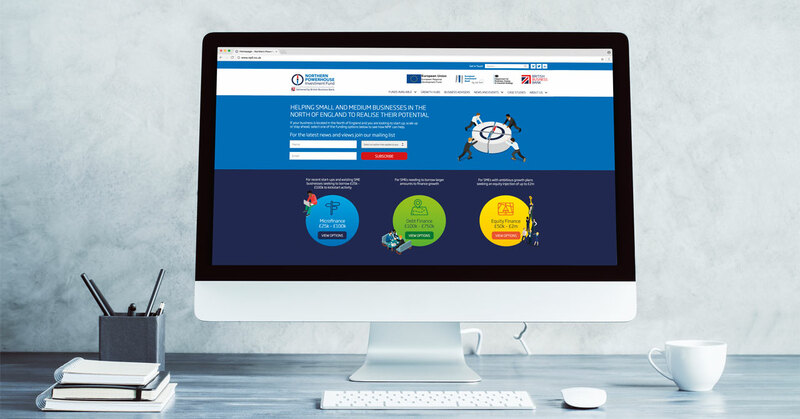 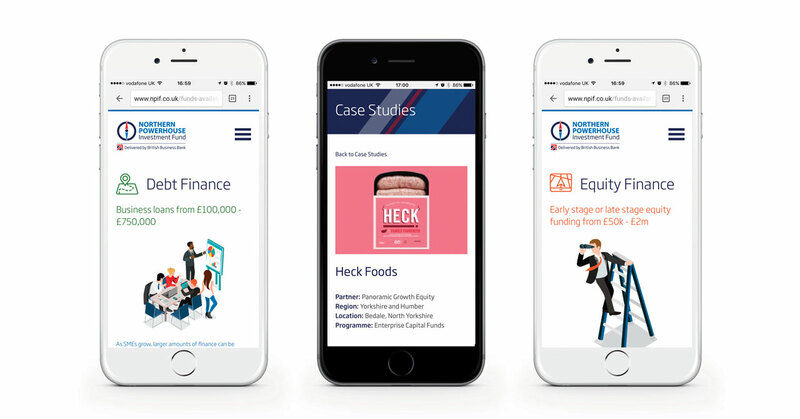 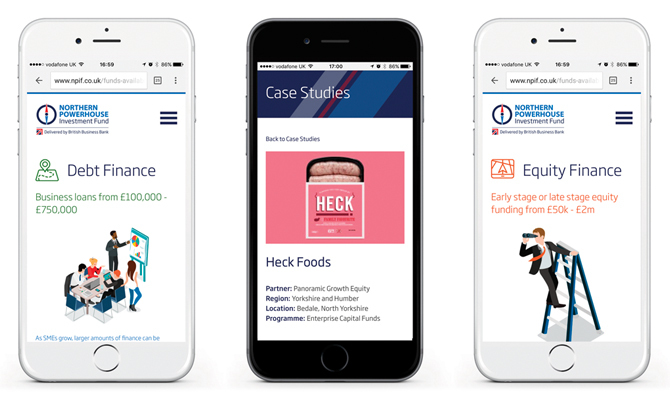 GWCM were appointed to develop the brand identity and design and deliver the website along with all marketing collaterals for the launch to help small and medium businesses in the north of England to realise their potential.